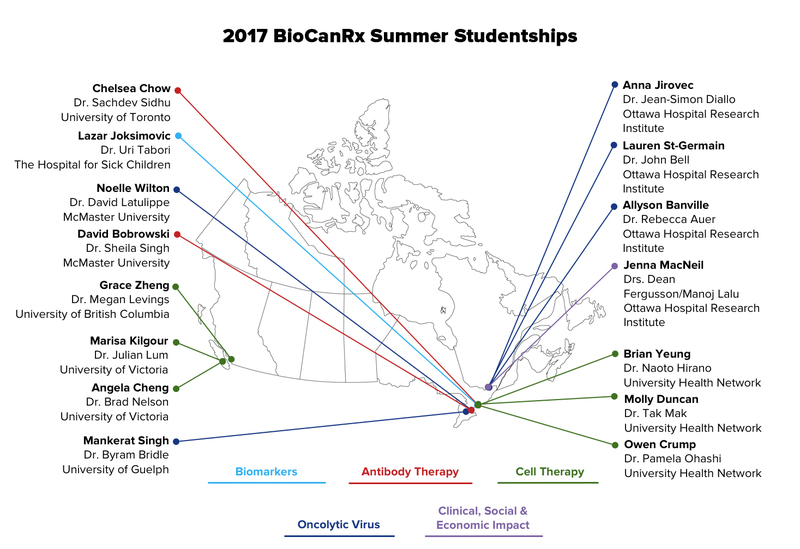 This year, 15 undergraduate students from across Canada have been accepted into BioCanRx’s Summer Studentship Program. The program’s goal is to inspire the next generation of highly qualified personnel. Funding is provided to its network investigators to recruit talented university and college students to work on their cancer immunotherapeutic research projects. This opportunity provides students with a practical, hands-on research experience. Profile: I am currently finishing my final year at uOttawa pursuing a degree in Biopharmaceutical Science with a specialization in Genomics. I am highly engaged on campus, acting as President for the Bio-X club and working with the Health Science Networking Association. Apart from academics, I enjoy camping, biking, playing sports and guitar. My research project for Summer 2016 is designed to determine 1) the differences in immunogenic celldeath (ICD) markers in infected cell vaccines (ICV) prepared with resistant and responsive tumor types, and 2) whether modulating ICD can improve the immune stimulating effects of an ICV. This research could enhance ICV effectiveness, including those currently being developed in the Auer lab, and eventually lead to clinical development of said ICVs. I aspire to lead a career that allows me to conduct meaningful research that can translate into much needed cancer therapies. I have become particularly interested in immunology, and therefore this studentship will allow me to exploit this interest and contribute to the promising immunotherapies being developed at the OHRI. I am incredibly excited to learn as much as I can about this field of research to prepare me for a future career in this field. 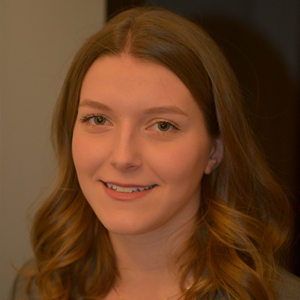 Profile: I am a third-year student at McMaster University in the Bachelor of Health Sciences Program specialized in Biomedical Sciences. I have an interest in understanding the pathophysiology of disease and cancer biology. Outside of research, some of my hobbies include teaching as a cellular and molecular biology instructor, health advocacy as a co-organizer of the McMaster Research and Healthcare Conference, and writing for undergraduate health sciences journals. The aim of my project over the summer is to do a preclinical evaluation of a recombinant CD133xCD3 bispecific T-cell engager (BiTE) antibody that redirects human polyclonal T cells to CD133+ glioblastoma (GBM) cells, inducing a very potent anti-tumor response. Numerous studies have implicated CD133+ BTICs as drivers of chemo-and radio-resistance in GBM. Accordingly, data generated from this project will offer evidence that BiTE-mediated cytotoxicity against treatment-resistant and evasiveCD133+ GBM BTICs could provide a very potent, specific and novel therapeutic strategy for GBM patients. The valuable educational experience and opportunity to work alongside recognized experts in the field of neurooncology offered through the BioCanRx studentship has further solidified my goal to pursue a service oriented career in the health sciences. 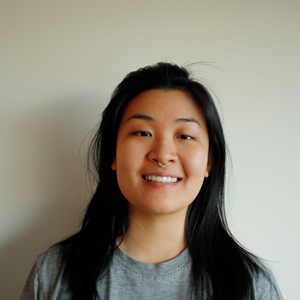 Profile: I am a fourth-year microbiology student at the University of Victoria. During my down time, I love soaking up the sun, catching up with friends, and hanging out with my pug. This summer, I will be working in Dr. Brad Nelson’s lab. The Nelson lab has an overall focus on the immune response to cancer, and aims to determine immune-based strategies against cancer. My project is focused on analyzing immune evasion mechanisms utilized by certain cases of high-grade serous ovarian cancer (HGSC). This will involve the development of immunohistochemistry panels that will allow simultaneous visualization of epithelial-mesenchymal transition markers and immune cells within tumour tissue. Ultimately, this will give a better understanding of the complex architecture of the tumour microenvironment, and give insight into the generation of potential subtype-specific immunotherapies for HGSC. The knowledge and skills gained from this experience will be life-long, and will benefit my goals of becoming a medical doctor with an interest in cancer research. I am grateful for the opportunity to work with the Nelson lab, and look forward to what we will accomplish together. Profile: In September, I will be entering my third year at the University of Toronto where I am pursuing a joint specialist in pharmacology and toxicology. This summer I am excited to work in Dr. Sachdev Sidhu’s lab, which is interested in antibody libraries. Specifically, I will be working with Dr. Fred Fellouse on a project that aims to utilize the structure of venom toxins in the construction of antibody libraries. These toxins are of particular interest due to their ability to target cancer cell membrane proteins. Having briefly learned about biologics in my pharmacology class this year, I hope to learn more about the process of developing therapeutic antibodies, and the role and impact of antibody libraries in antibody therapies. Pharmacology overlaps with many other areas and I think that a summer placement in Dr. Sidhu’s lab is a good way to start exploring them. Some of my other interests include trivia games, indie music, and recognizing Toronto filming locations in movies and television shows. 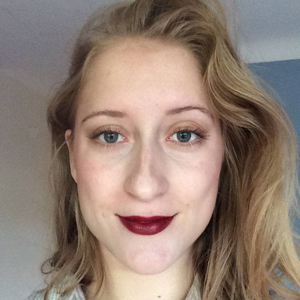 Profile: I am currently a fourth-year student completing my BSc with Honours in Microbiology and Immunology at Dalhousie University. My honours thesis focused on analyzing how IL-4 can increase interferon production by mast cells and understanding how we can harness this enhancement in asthmatic patients (who show IFN deficits) to better control exacerbation of symptoms during viral infection. Outside of the lab, I follow sports teams, specifically the Toronto Maple Leafs, and have watched many Leafs games this season. The research that I will be conducting this summer with Dr. Ohashi focuses on analyzing T cell activities, specifically how to promote T cell responses into tissues and evaluating molecular pathways that govern T cell fate. This retains clinical significance, since understanding roles in T cell responses will allow for us to understand and potentially better control autoimmune and anti-tumour immune responses involving these cells. This studentship program is invaluable experience when it comes to my overall career aspirations of pursuing a job in medicine. Learning lab techniques from Dr. Ohashi and gaining understanding of her work in T cell immunity will give me a plethora of medicine-related knowledge and will better groom my work ethic while I pursue this goal. 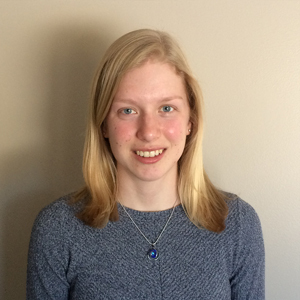 Profile: My name is Molly Duncan and I am a second-year student in the Molecular Biology and Genetics Program at Guelph University. I became interested in cancer research after learning in high school and university about genetics and the mechanisms underlying tumour development. I am particularly interested in the biology of tumours and how they escape the body’s immune system. Outside of research, I play hockey, referee ball hockey, and teach kids how to skate. I also enjoy the Canadian outdoors and love camping and canoeing. This summer I will be investigating the combination of small molecule inhibitors and immune checkpoint blockade as a therapeutic strategy in breast cancer. This research experience will allow me to apply what I have learned in school and will enable me to pursue my research interests. I’m excited to expand my understanding of cancer biology, learn new laboratory techniques, and work together in a laboratory with experts whose common goal is to develop new therapeutic strategies to help cancer patients. The skills and knowledge I acquire will help prepare me for a career in research, and the discoveries from my research may help to improve the treatment of patients in the clinic. 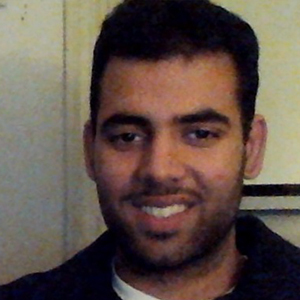 Profile: I am a fourth-year student studying Biopharmaceutical Science at the University of Ottawa. This year, I completed an Honours Project in Dr. Diallo’s lab. My project focused on antigen screening in human sarcoma specimens to identify an appropriate immunotherapeutic target for a prime-boost therapy, and the development of a clinically relevant osteosarcoma mouse model for prime-boost tests. Outside of the lab and school, I dedicate my time to playing and teaching tennis with the University of Ottawa Tennis Club. This summer, I aim to generate anti-DEC205-gp70 and MG1-gp70. We will evaluate the efficacy of an anti-DEC205-gp70 prime and aMG1-gp70 boost in a clinically relevant orthotopic murine model of metastatic osteosarcoma. Our lab aims to develop a novel immunotherapy for sarcoma; these findings will validate the effectiveness of this novel prime-boost regimen against endogenous antigens, and establish the ground for a new treatment for metastatic sarcoma. As a student planning to pursue a Masters in Immunology and Microbiology, this research placement will allow me to gain valuable laboratory experience that will be applicable throughout my future studies. 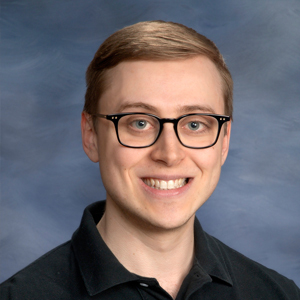 Profile: Currently I am a second-year undergraduate student at the University of Toronto, where I am completing a specialty in immunology combined with a major in physiology. As a former nationally competing tennis player, in my free time I enjoy coaching young children tennis. In addition, as an admirer of classical music, I spend time relaxing by playing the piano. With the aspiration of becoming a clinician-scientist in the field of neuro-oncology, I am excited to begin my project concerning a devastating cancer predisposition syndrome called Biallelic Mismatch Repair Deficiency (bMMRD). Children affected by bMMRD develop malignant brain tumors, GI cancers, and haematological malignancies. Standard of care treatment does little to improve survival in these children. Thus, my project aims to test potential therapeutics for individuals with bMMRD in vivo to inform clinical trials. From this research experience, I hope to gain profound knowledge in molecular strategies for preventing and arresting tumor malignancy. 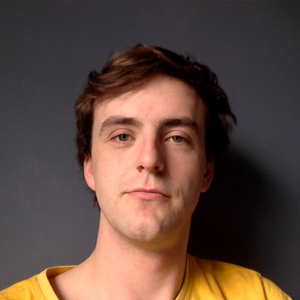 On a broader spectrum, I aim to gain invaluable knowledge in the molecular laboratory study of tumorigenesis, which combined with my passion for innovation, can hopefully help me achieve my long-term ambitions in tackling cancers with immunotherapy. 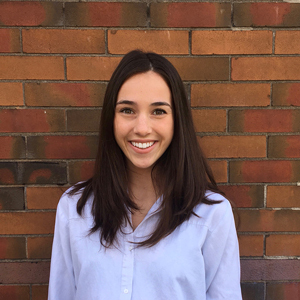 Profile: Marisa is in her final year of completing an Honours BSc in Biochemistry at the University of Ottawa. 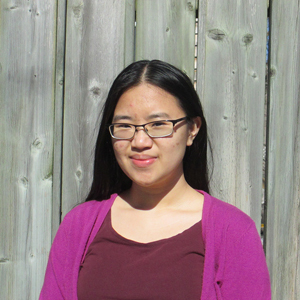 She will be completing her summer studentship in the lab of Dr. Julian Lum at the BC Cancer Agency. Dr. Lum’s lab specializes in metabolism and tumor immunology. The lab is investigating innovative strategies to engineer T cells to enhance their activity in the tumour microenviroment. By understanding how T cells metabolically behave ‘in situ’ and within tumors, it may be possible to reprogram their metabolism and provide them with an advantage in the tumor microenvironment. This approach could be used to aid in development of more effective T cells-based therapies such as adoptive T cell or CAR T cell therapies. 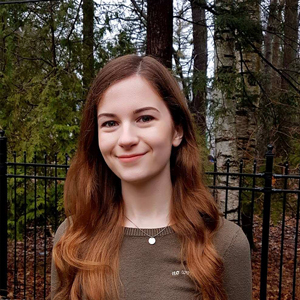 After the summer studentship, Marisa plans on completing an MSc in Biochemistry at the University of Victoria in cancer research. In her spare time, Marisa enjoys reading, baking, cartoon movies, and yoga. 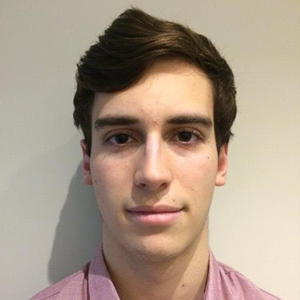 Profile: I am a second-year student at the University of Ottawa in the Biomedical Sciences undergraduate program. When not doing academic work I may be found at the pool (lifeguarding or swimming), skiing, or volunteering. My group’s research project this summer will be a scoping review to examine and map the quality of experimental design and reporting of in vivo preclinical oncolytic virus investigations over the past five years. This will help to better understand the current norms of design, analysis, and reporting of in vivo preclinical cancer immunotherapy studies. These results will help direct a knowledge translation project to improve reporting of study results. Hopefully, this will lead to stronger well designed preclinical trials in the future making better use of resources. This unique opportunity will benefit my professional goals of a potential career in medicine or research by enabling me to actively acquire valuable skills and experience in the field of translational medicine. In addition, this position will grant me the chance to collaborate and learn from the peers and mentors on my team. Profile: My name is Mankerat Singh, and I’m a fourth-year student at the University of Guelph, where I’ve had the pleasure of working in Dr. Byram Bridle’s lab. Our lab is largely dedicated to oncolytic virus research, and cell based immunotherapy. My research interests include dendritic cell based immunotherapy and microRNA manipulation. Currently, I am focusing on two independent projects looking for ways to increase dendritic cell vaccine efficacy, by manufacturing dendritic cells under optimized conditions. I have a strong passion for medical research, and plan to have research as a component of my lifelong career. I am very grateful for having received the BioCanRx research award, and hope to use the summer of 2017 to generate some great results, which will hopefully lead to improved clinical outcomes for cancer patients. Outside of the lab I keep myself busy in a number of activities including competitive boxing and basketball. I also enjoy visiting my ancestral village in Punjab each year, where I often spend hours on end going for long walks, taking in the beautiful scenery of the lush orchards, and fertile farm fields. 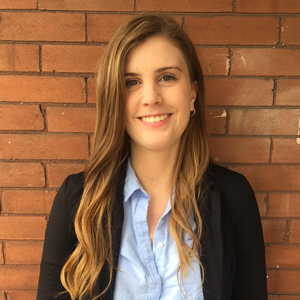 Profile: Having completed my third year as a Life Sciences student at Queen’s University, I have three years of experience as a summer student at the Ottawa Hospital Research Institute. I enjoy volunteering for youth outreach initiatives with Queen’s WISE, and work as a Student Library Assistant on campus. Dr. John Bell’s lab focuses on discovering and optimizing oncolytic viruses as effective cancer immunotherapeutic agents. My project this summer will be to generate and validate CRISPR knockouts in various cancer cell lines, and observe how the knockout of specific genes affect the sensitivity of cancer cell lines to oncolytic virus. If successful, CRISPR knockout of successful gene candidates may have therapeutic benefit in vivo. imagined. I can confidently say that what I learn in the lab is incomparable and is completely unique to what I learned in my undergrad. It has also fostered my love for learning and investigating, and allows me to value my curiosity. Next year I will be applying to masters degree programs all over Canada, and am excited to learn even more about the human body and its interactions. 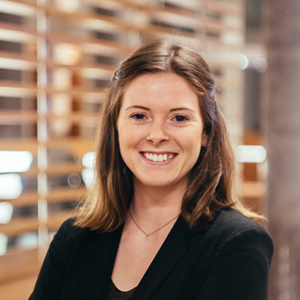 Profile: My name is Noelle Wilton, and I am entering my fourth year of Chemical and Bioengineering at McMaster University. My program is tailored such that I study the subject requirements of a chemical engineering undergraduate; while concurrently taking courses in biology, health sciences, and applications of engineering in medicine. I chose to pursue this degree because of my appreciation of engineering science, along with my passion for biology and human physiology. My goals for the future involve pursuing a career in bioengineering, where I can use the principles of chemical engineering in applications of health sciences. Outside of school I am an avid equestrian, and you can usually find me at the barn. This summer my project will involve studying novel membrane materials for the filtration of oncolytic viruses. Oncolytic viruses are a class of cancer therapy that are currently undergoing clinical trials, and are on their way to full approval; but in their production, require thorough filtration, while still obtaining a high product yield. My work will focus on the analysis of the effects of pore size, pore geometry, and thickness of membrane materials to achieve the desired virus filtration. I am very much looking forward to the challenges and rewards this position will offer. 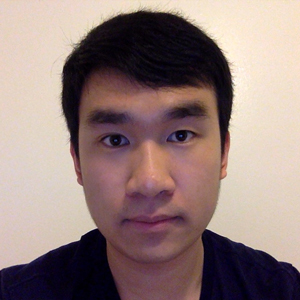 Profile: My name is Brian Yeung and I’m a 3rd year student at the University of Toronto studying immunology and pathobiology. My project for the summer is to generate allogeneic T cells that can be used in any patient without inducing immune rejection. Adoptive T cell therapy is a treatment in which T cells are genetically modified to express a receptor that targets cancer cells. Currently, this therapy requires the use of T cells derived from each specific patient to avoid immune rejection. Generating T cells for use in all patients would allow for treating patients without suitable T cells, as well as lower costs associated with this therapy. I hope to pursue a MD/PhD degree in the future and develop curative treatments for cancer. Working in Dr. Hirano’s lab has given me some insight into the effort and dedication required to pursue research. I hope to deepen my understanding of T cell and cancer cell biology this summer and develop the skills needed to pursue a career in research. During my free time, I enjoy going fishing with my family and watching Korean dramas. I also play table tennis and enjoy cooking. 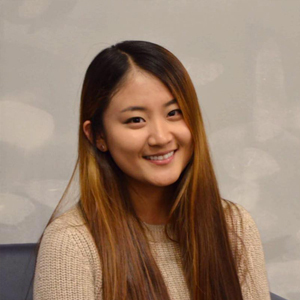 Profile: My name is Grace Zheng and I am a 3rd year undergraduate student at the University of British Columbia studying Microbiology and Immunology. Outside of my time in school, I enjoy being outside, in nature. I especially love camping in the summer. I am also a big fan of action movies and a huge dessert enthusiast. The objective of my research project is to experiment various methods for expansion, cryopreservation and thawing on the final Treg product. Using GMP-compatible culture systems and reagents, we will systematically compare different starting cell numbers, number and type of T cell stimulations, media supplements (such as rapamycin, cytokines) and expansion times. As the final clinical product will be frozen, we will also test the impact of cryopreservation and thawing conditions (media, times, temperature) on the quality of the recovered cells. I was drawn into the field of immunology from a second-year course in Microbiology, and my interest has only grown stronger through third year immunology courses. This research experience is tightly bound to what I hope to pursue in the future – which may be in academia research or in the healthcare field.